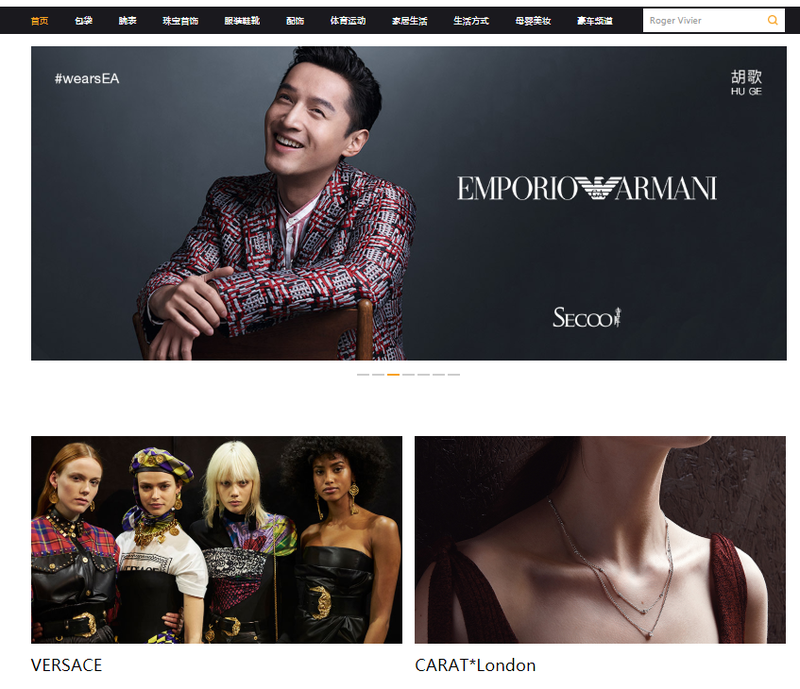 What Strategies Luxury Brands Should Use in China ? 80% of Chinese buyers are under 45 years of age. They are highly fascinated by western brands and have high internet consumption. Therefore, the most suitable way to reach this buyer group is through internet. Chinese people are more willing to purchase online nowadays because of the convenience of e-commerce platforms. 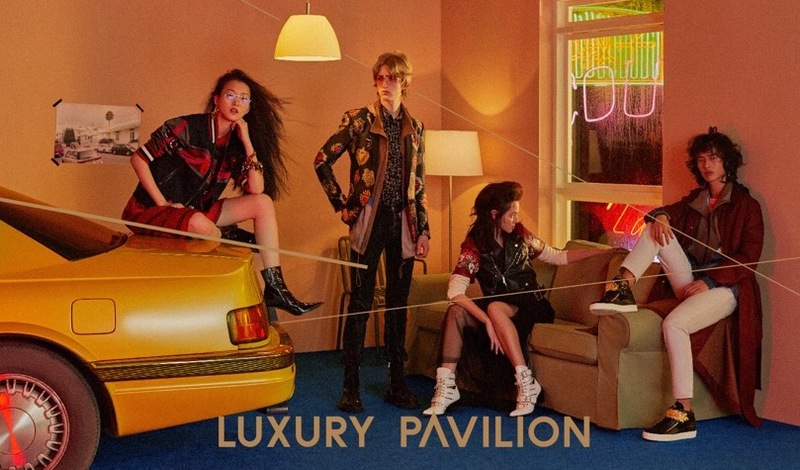 Tmall and JD, the two leaders of e-commerce in China has launched last year their dedicated platform for luxury brands, respectively called “the luxury pavilion” and “Toplife”. Tmall and JD aims to guide their super-wealthy customers to these platforms. JD.com and Alibaba are going toe to toe on the new battlefield of high-end fashion, providing different advantages for their partners. These platforms can be fiercely competitive. They have both a large user base to tap into but it is not enough to only appear on their platform. Your brand must be supported by a comprehensive marketing campaign to gain visibility. Celebrities and Influencers are chased by luxury brands in China. You should go further than just posting and engaging with your fans. You should attract new fans to follow you on WeChat and Weibo. As KOL (key opinion leaders) and celebrities have a strong impact on Chinese consumers, luxury brands are working closely with them to promote their products. 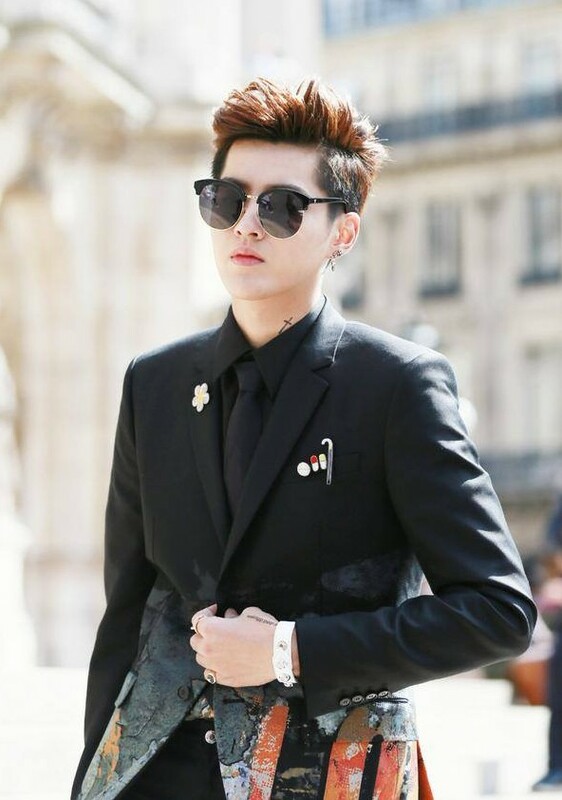 Burberry collaborated with Wu YiFan, a Chinese star model and singer for their last men collection to share some VIP content on Weibo. This obviously attracted a lot of attention from Chinese users (especially women). We are a KOL agency in China. It is important to know the social media part of Chinese society to market in China because it is linked. Find the right brand representative can boost your reputation. At the beginning, Wechat was a app for communication but it has developed a lot of features, waiting to be explored by brands. We have to notice here that WeChat has now over 1 billion of monthly active users. According to its surprising capacities and its important user data base, WeChat has taken more and more attentions from luxury brands. 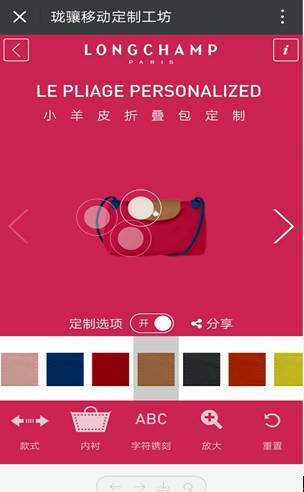 Through Wechat, the well-known French luxury brand Longchamp offered the possibility to customize its flagship bag. Consumers could choose the size, the color, the style to make their personalized model. Users who have subscribed on Burberry’s WeChat official account can participate to the event launched by the brand and gain their own customized card. 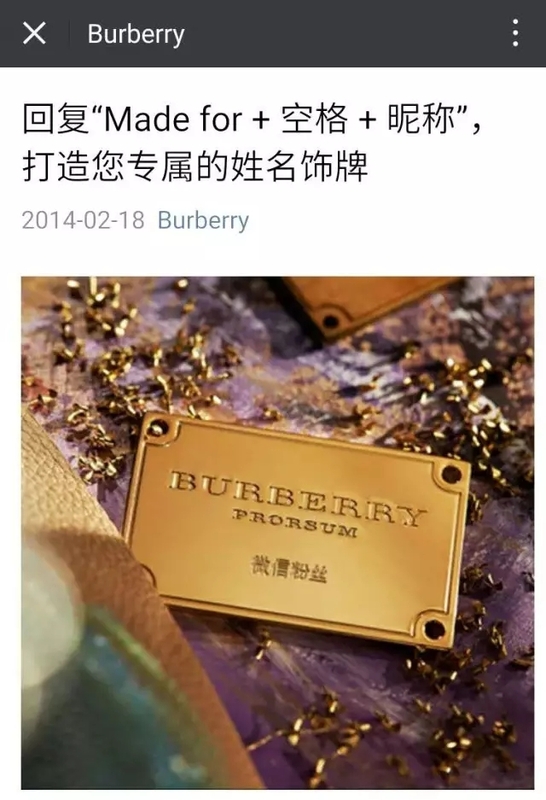 Burberry cooperated with WeChat, and proposed to customers to order ornament at any time with their Chinese or English name on it. For the Chinese valentine’s day, Dior has posted on its official WeChat account, “Lady Dior small, the Chinese valentine’s Day limited version, will be sale in online Shop”. It was only sold on WeChat, in limited time and limited number. This action became the best innovation in luxury industry. 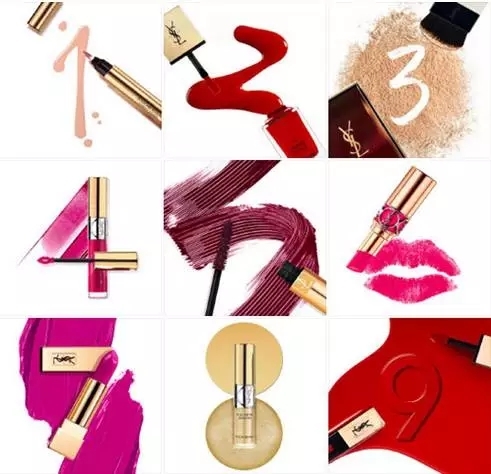 Yves-Saint-Laurent, one of the most appreciated luxury brand in China promoted a number game on WeChat and Weibo to predict players’ lucky numbers. The exploration of lucky at the last season of 2016 was predicted by talented spirit of several, Evelyne Lehnoff. People can get their own lucky number after they gave their birth month and days. There were many women engaged in this game. They participated actively, left messages and shared with their friend among their social network. At 08, September of 2016, the fall/winter fashion show of TOM FORD 2016 stared in Seagram Building. At the same time, TOM FORD opened the live show on WeChat as well. 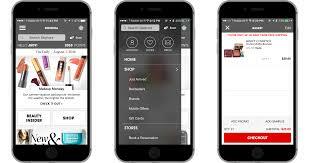 It is a very new experience to consumers as WeChat was transformed into an “e-commerce platform”. They had the possibility to buy any clothes, shoes, and stuffs they saw on live show immediately through WeChat shop. 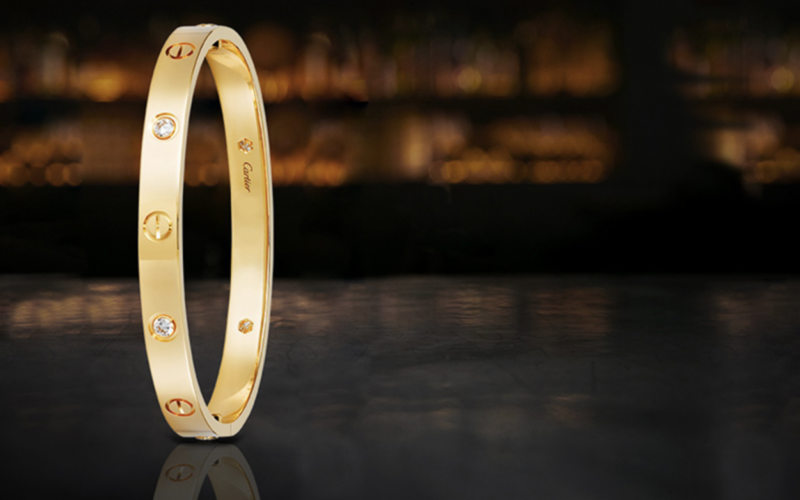 Luxury brands need to communicate more often with their online customers. In big cities, Chinese people are almost all online. To reach your target consumer and your potential consumer, offline marketing activities must integrate online marketing strategies. Brands needs to publish informative content, interactive online activities by earning rewards or point system, develop inquisitiveness and providing shop and sale options on their social media accounts. If you don’t do that, other brands will, taking over time the advance. 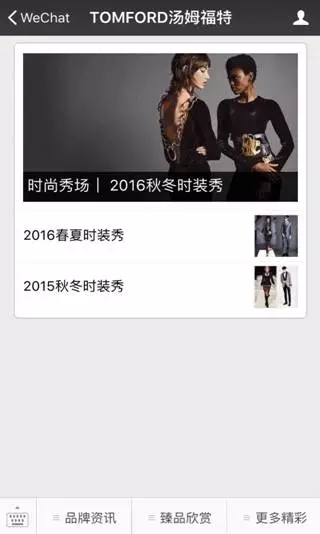 WeChat is used as CRM (Customer Relationship Management ) for Luxury Brands. With Different acquisition Channels, WeChat with a CRM can send specific Messages to different segment. This New way of communication give Luxury Brands new opportunities to sensitive their clients and to lure their old Clients to their new collection. Even if luxury brands have been relying and working on their quality of services, they have now to manage it according the evolution of the society. Little RED book is the new Popular App at this moment and great way to work on your awarness and Engagement. It is a qualitative APP and like intsgram can create and work on your Brand Zone. We have Successful Case studies on RED, contact us to get them. Need a Digital Partner in China ? The digitalization of China has brought a lot of new tools, creating new opportunities. You want to explore the Chinese luxury market? GMA can help you for it. Our agency is specialized in digital marketing and we have the knowledges about Chinese consumer’s habits. 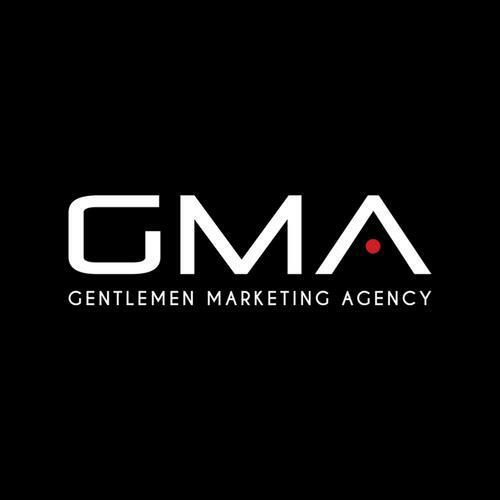 We follow the latest trends and make our services up-to-date to effectively promote your Brand. Do not hesitate to contact us for more information, see our case studies and Speak to our Luxury Expert. Do you know if the luxury market is different from the luxury goods in China? it is really a great article. What do you consider Luxury and what is Premium Brands for you ?